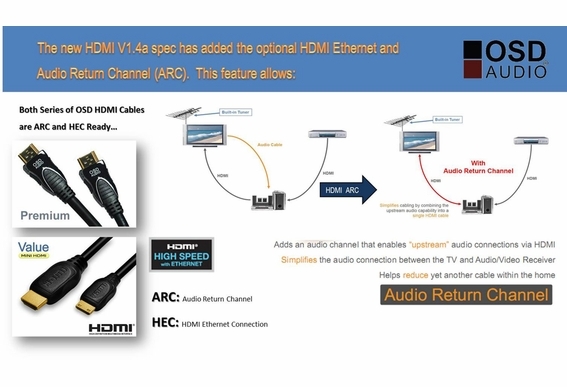 Before HDMI® (High Definition Multimedia Interface) came around, connecting audio/video components could be challenging. 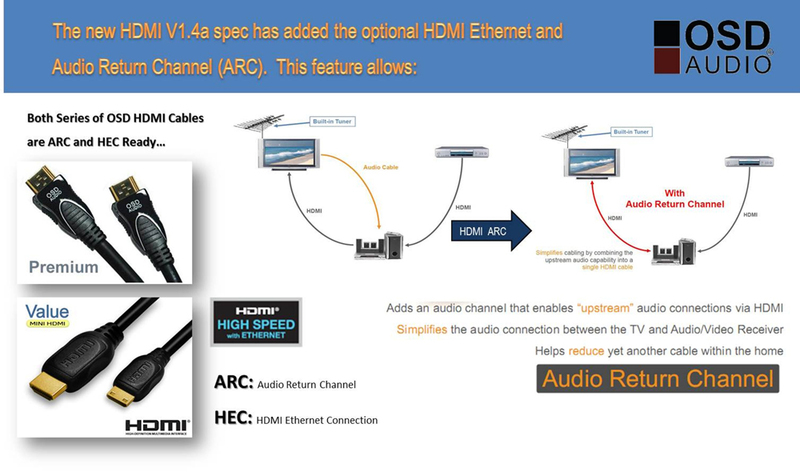 HDMI® combines video and audio into a single easy to connect digital interface. Adding this cable can have a great effect on picture and sound because HDMI allows uncompressed signals and will not degrade (although runs over 40 feet may require signal boosting from an HDMI extender. )HDMI® cable interfaces between any audio/video source with HDMI such as set-top boxes, DVD players, game consoles, A/V receivers and digital televisions. 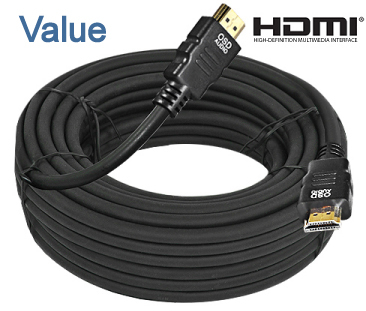 OSD Audio HDMI cable are High Speed V1.4 with Ethernet and support the latest technologies such as 3D TV and 1440P. OSD HDMI® cables transmit frequencies up to 10GHZ bps and transmit high quality multi-channel audio data. Our cables support all standard and high-definition consumer electronics video fomats and transmit control and status information in both directions. You're going the love the difference! 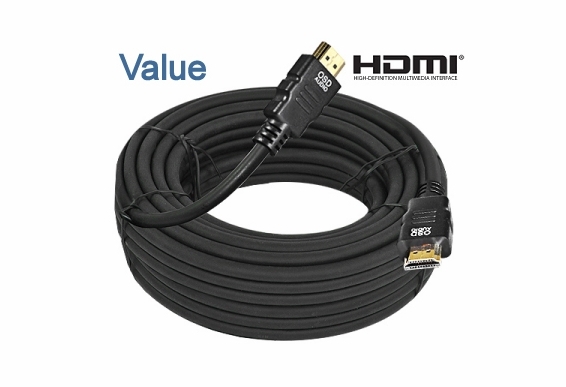 I bought this cable to connect my laptop to my 52" VIZIO TV I can't get a picture. I've tried with a 6ft HDMI cable and no problem. When I hook up my laptop to my 32" bedroom TV (Sanyo) no problems at all.